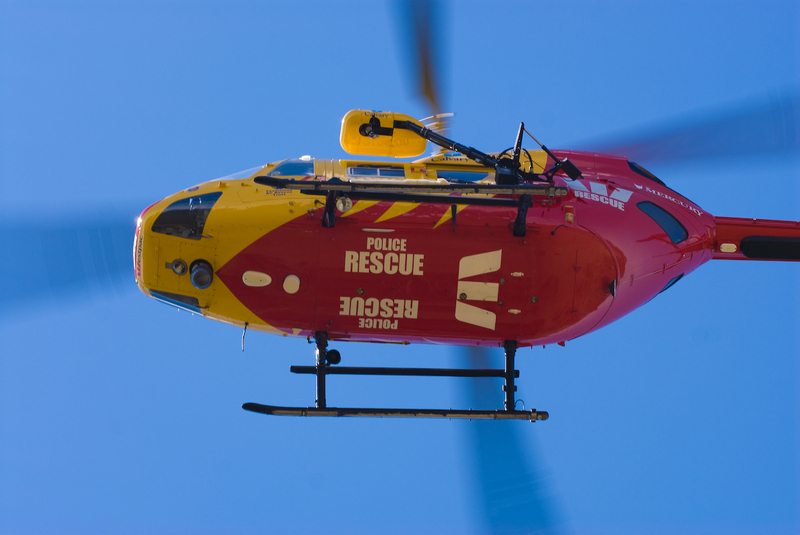 The Westpac Rescue Helicopter is a twin-engine Kawasaki BK117 and is equipped with medical and emergency equipment enabling it to fly into almost any area in virtually any conditions, day or night. The helicopter has a two-person winch stretching 70m in length and contains a stretcher. The helicopter is also capable of two-patient transport when required. It also contains intensive care medical equipment and a range of rescue equipment. It also has a 30 million candle power ‘Nitesun’ searchlight for night operations. The Search and Rescue capabilities of Tasmania Police have been extended through the generous provision by the Australian Maritime Safety Authority of a Forward Looking Infra-Red (FLIR) system, purchased at a cost of $US400,000, fitted to the Westpac Rescue Helicopter. The system enhances search and rescue through a range of cameras incorporating the latest technology in thermal imaging. Tasmania boasts some of Australia’s most rugged and unforgiving terrain. The twin-engine Westpac Rescue Helicopter is one of the most sophisticated in the world. It is a state-of-the-art mobile emergency medical room and is able to fly in virtually all weather conditions during the day or at night and can manoeuvre within the most rugged terrain. The Service averages around 160 missions each year. Diving or other water-rescue related accidents. On occasions Tasmania Police have utilised the Westpac Rescue Helicopter to perform police operations This may involve criminal activity or response by specialist police units.